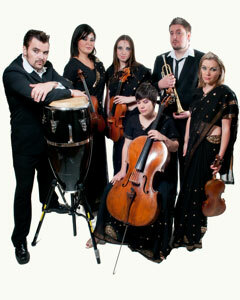 The London Bollywood String Quartet is an exciting ensemble which draws its inspiration from India’s rich heritage of film and music and was formed in London by conservatoire-trained professional musicians. 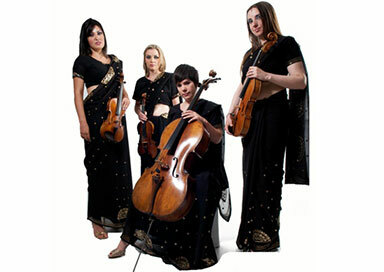 The quartet began in 2010 as an offshoot of the already well respected Xenia String Quartet who saw that there was an increasing need for live music ensembles to offer repertoire that was diverse and cross-cultural and so it began with these Western-trained professional musicians specialising in Bollywood music. They are regularly booked to play at both Indian weddings and fusion weddings due to their ability to easily adapt to your requirements. In addition to Bollywood music they can incorporate western classical and popular chart hits into their play list for your event. They can be hired for weddings, corporate entertainment or private events operating mainly as a string quartet but is also available as a string trio or with the addition of trumpet and percussion. They know that every wedding and event is unique, which is why they offer you a variety of options, tailor make to meet your exact requirements, helping to make your event special. All of our musicians have many years of experience in the function industry as well as playing with some of the country's finest orchestras. The Royal Philharmonic Orchestra, London Philharmonic Orchestra and the City of Birmingham Symphony Orchestra to name a few. You can therefore be assured of the highest possible standards. The girls are happy to dress in traditional saris as well as Western clothes.